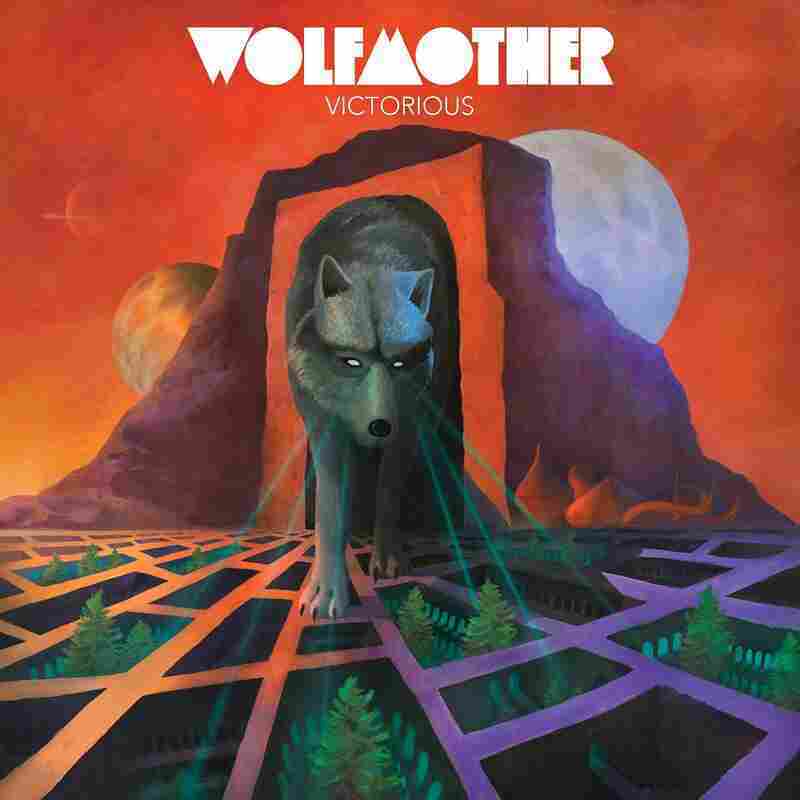 Review: Wolfmother, 'Victorious' Just as an arena is built to hold anyone and everyone, Wolfmother's arena-rock is designed to contain everything that inspires it. There's something telling about the fact that the cover of Wolfmother's fourth album, Victorious, was posted online in blank black-and-white, with fans encouraged to color it in themselves. Since the Australian group's self-titled debut in 2005, singer-guitarist Andrew Stockdale has written songs that are magnificently generic — a stew of vintage rock influences in which listeners can hear almost anything they want, from the stomp of Led Zeppelin to the scuzz of the MC5 to the scream of Deep Purple to the scrape of The White Stripes. Just as an arena is built to hold anyone and everyone, Wolfmother's arena-rock is designed to contain everything that inspires it. That blankness isn't a drawback; it's Wolfmother's strength. And Victorious is glorious proof. After many lineup changes over the past few years, Stockdale and the latest incarnation of the band (bassist Ian Peres and drummer Vin Steel) have crafted 10 songs — plus a couple of bonus tracks — that screech for the stars. Like Wolfmother's last album, 2014's New Crown, Victorious alternates between midtempo, organ-slathered ballads and galloping, pseudo-Sabbath monsters. "Baroness" is all sweet melody and saucy come-ons, with Stockdale unafraid to ask, straight up, "Tonight, tonight, tonight / Could you be my valentine?" It's a testament to self-conviction that he pulls it off without sounding cheesy — or, more to the point, he sounds just cheesy enough. It helps that the album's title track is a chunky, buzzing eruption of hooks and unapologetic triumphalism, the kind of anthemic release that strikes down irony and cynicism with a touch. Every time Victorious careens toward full-on heavy metal, such as in "City Lights," Stockdale yanks the reins toward Cheap Trick-esque power-pop, with winning results. Lines about "psychedelic satellites" may look silly in print, but in context they're delivered with euphoric romanticism. Even at its heaviest, namely "Gypsy Caravan," the album locks into a supernatural groove that revels in its own hokey mystical imagery. The same goes for "Eye Of The Beholder," a trippy dose of bludgeoning acid-rock that Uriah Heep would have been proud to call its own. The album's most tender track, "Pretty Peggy," is also its least retro; an acoustic torch song, it comes with a slickly harmonized, larger-than-life, woah-woah-woah chorus that's more fun. than Grand Funk. It also feels more obligatory than heartfelt, but it's a minor bump in an otherwise uproarious, fist-pumping exercise in connecting the classic-rock dots. "Don't you ever feel like you've had enough?" Stockdale chants in the lighter-raising breakdown of "Victorious." If he happens to be asking about Wolfmother as a whole, Victorious answers with a resounding no.